Advanced SEO & Web Design | Moving Mountains, Inc.
A digital marketing agency located in beautiful Southern Oregon. Over the years, we’ve helped hundreds of businesses generate a measurable, meaningful, ROI through online marketing. Today, our tight-knit team continues to explore digital opportunities, in pursuit of our overall goal of improving people’s lives by improving businesses. By search engine optimizing your website (a fancy way of saying “change how Google interprets your website, so they better value what products & services you offer”), you can get your products & services in front of potential customers who have already made the decision to seek out the products & services you offer. 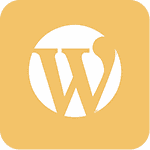 With WordPress, we create optimized websites that are fast, mobile-friendly, functional and most importantly they don’t cost an arm & a leg. We’ve spent years creating systems and vetting design partners to ensure a beautiful website every time. If you don’t like it we’ll build it again. First We Audit. Then We Optimize. Then We Build. An in-depth technical website & SEO analysis with video explainer gives you the exact roadmap to update your website and outrank your competitors. 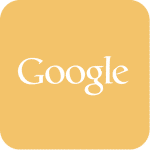 Implementation of all technical website edits allows Google to easily understand your products/services & qualifies you to outrank your competitors. Being optimized, is half the battle. With our trust & authority building Campaign we use white hat backlinks, PR, outreach & guest posts to achieve top rankings. In between each of these steps, we’ll present you will results, potential and a proposal for moving forward. No commitment. No obligations. Just results.